Hello friends! I'm super excited to be teaching new classes for 2017! 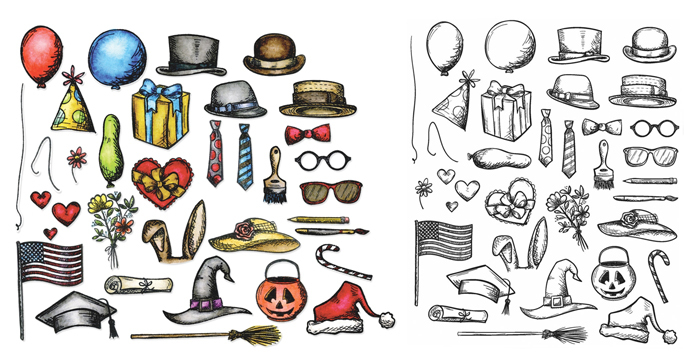 I'll be using lots of new products from the Ranger Distress line, Tim Holtz Idea-ology, Sizzix Alterations and more. Check the side bar on the right for my teaching schedule. 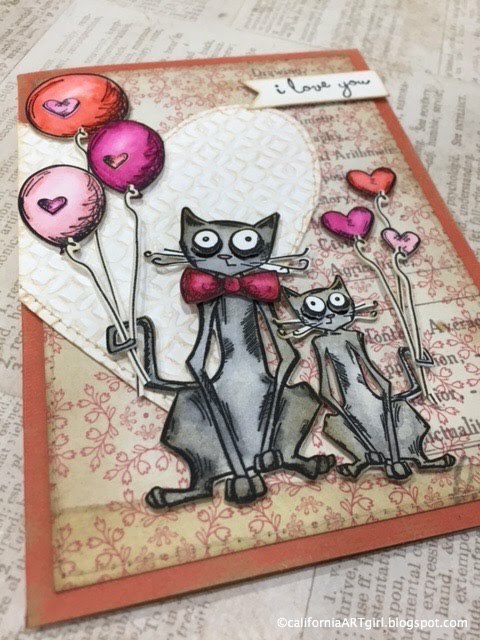 for a card class on February 26th. 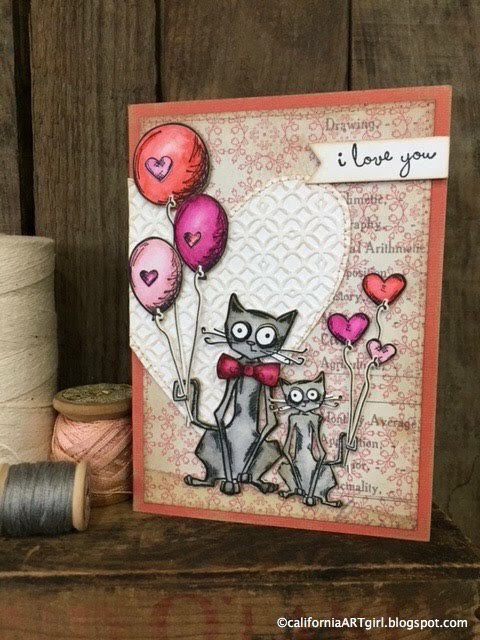 Cards in Distress is packed with techniques to take your cards to the next level. 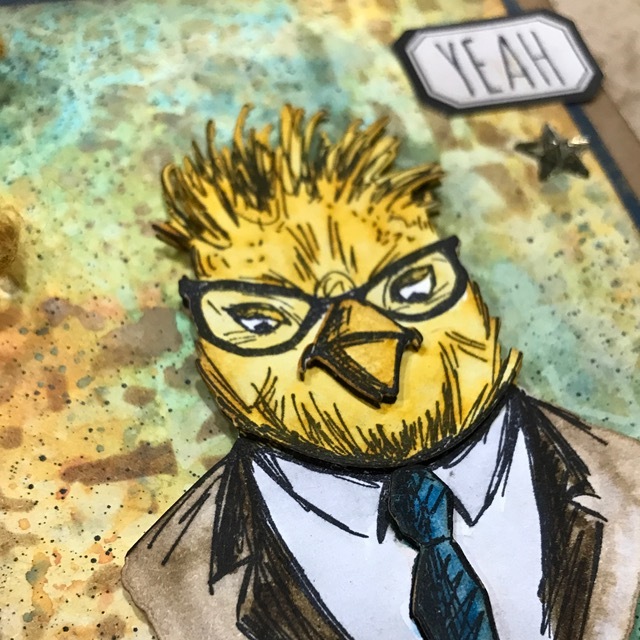 Each card will feature a different techniques to maximize your Ranger products like Distress Oxide Inks, Grit Paste, Micro Glaze and so much more. 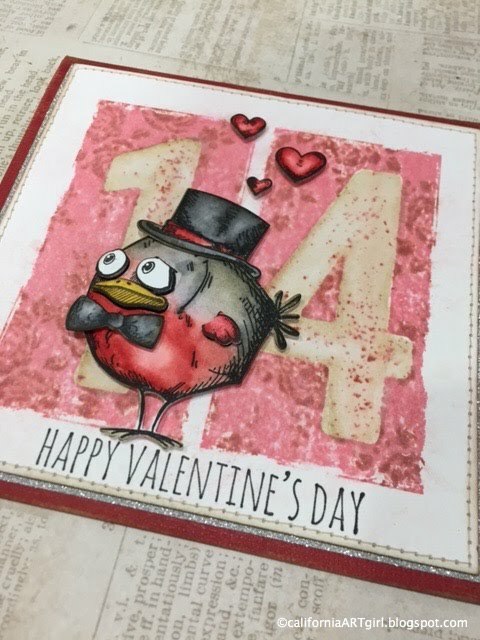 We’ll also be using stamped images (Hipsters), Layering Stencils, new Sizzix Alteration dies (Wildflower 2 and Cityscapes), and some Idea-ology to embellish our cards. 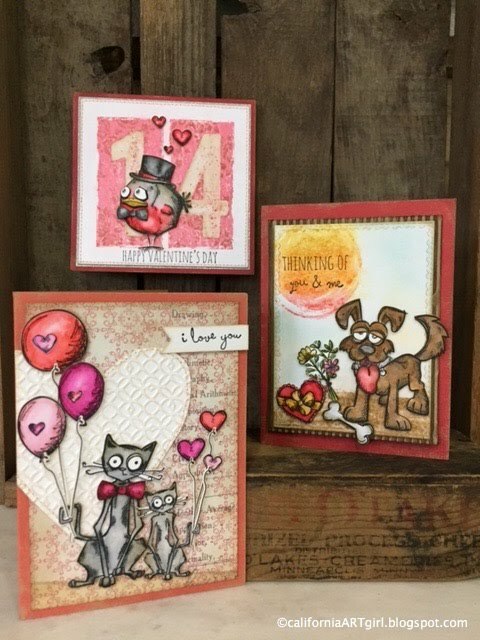 Join me for a fun day of card making! This class is so popular I'll be teach a morning and afternoon class. 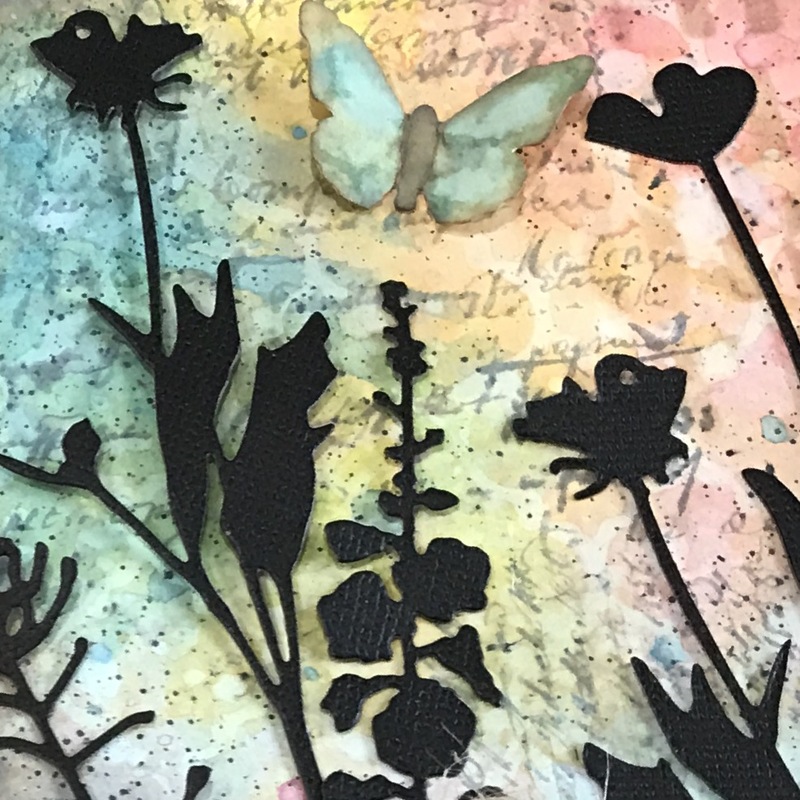 Come explore your creativity with Richele and play with the NEW Tim Holtz Distress Oxide Inks. Learn how to create a magical background to set the stage for your Mixed Media piece. You will also master the art of using Fragments with paper, ephemera and alcohol inks. Add the finishing touches with treasures from the Idea-ology line all included in your class kit. Sweet Memories will make a beautiful gift for Mother’s Day or maybe you just want to treasure it for yourself. Bring your imagination and journey into the world of fabric. 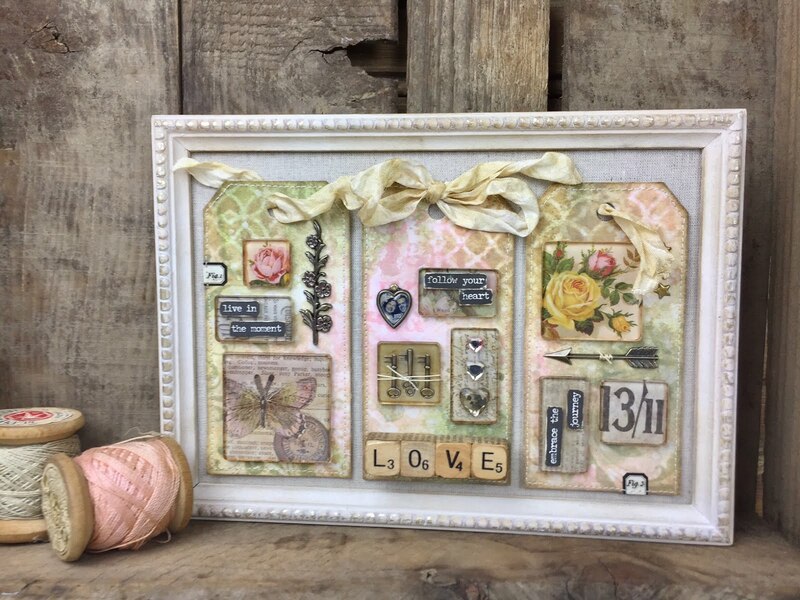 Create this charming Home Decor panel using the NEW Vignette Tray for the foundation. We’ll be stenciling with Distress Paint, stamping with the new Cling Foam stamps and doing some simple hand sewing. Whether you love to sew or you’re just starting out this class is for you! 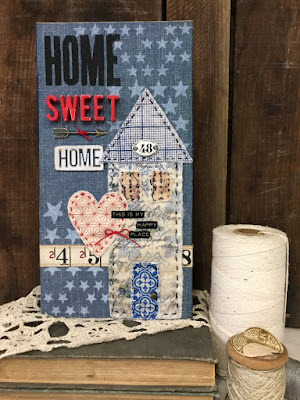 Class will include everything to create this panel, even a set of Typography and a few choices of fabric for the house so you can make this project your own. Please bring scissors, heat tool and a thimble for hand sewing (if you use one). Size - 4 3/4” x 9". Hope you will join me for one of these fun classes! Hello friends! Are you still CRAZY over the Tim Holtz Crazy stamps? They just make me happy every time I see them. It's hard not to have a smile on your face because they're just so cute. 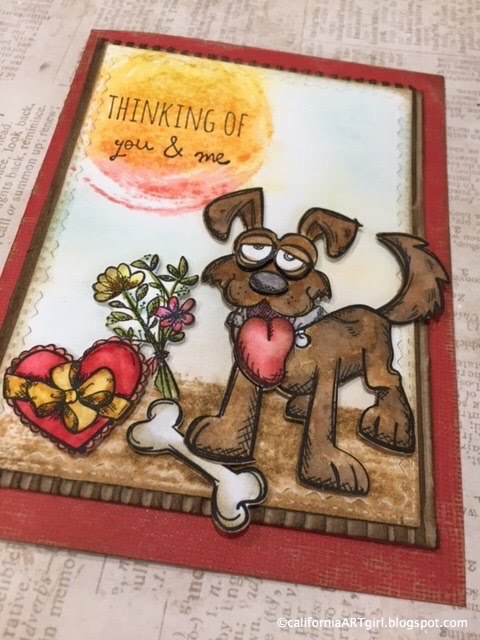 So Valentine's Day is right around the corner and I thought these would make great cards for my grandkids and my sweetheart. The Crazy that started it all Bird Crazy I think the Birds are my favorites. 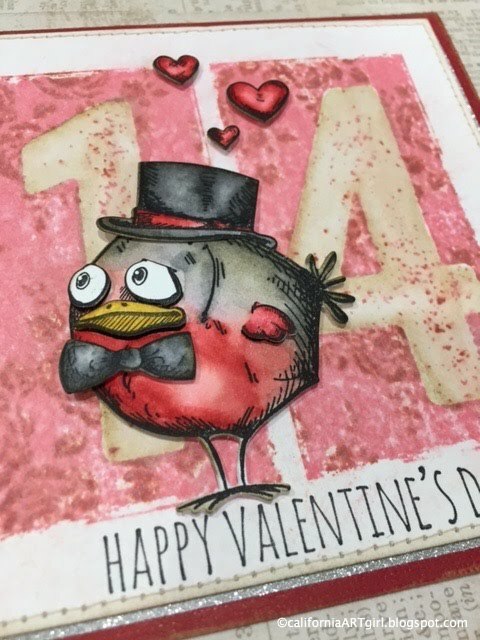 All the images are stamped onto Watercolor Cardstock with Jet Black Archival Ink, then colored with Distress Markers and blended out with the Detail Waterbrush. 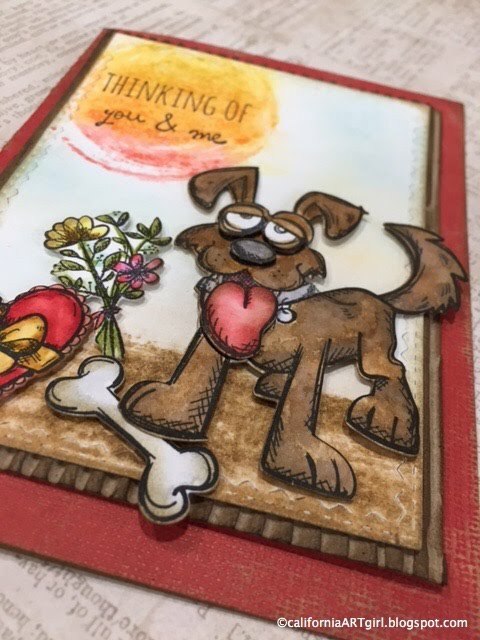 The Crazy Bird, Cats and Dog are all die cut with the corresponding Thinlits Die from the Sizzix Alterations line. 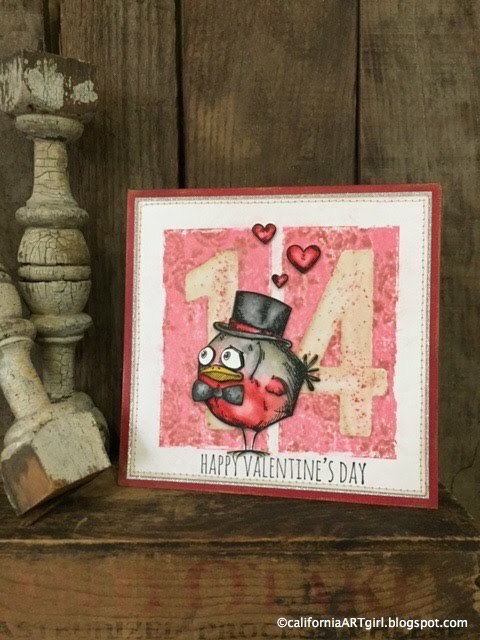 For the background of this card I first inked the Big Number Stamps with Worn Lipstick Distress Oxide Ink, then Inked the Vines and Roses stamp with Fired Brick Distress Oxide Ink, kissed the stamps together and stamp it on Watercolor Cardstock. I also colored the Numbers with an Antique Linen Distress Marker and then blended out the color with a Waterbrush. 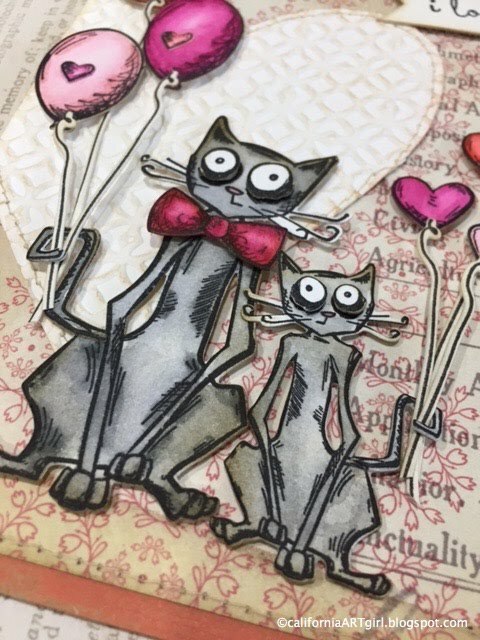 The Cats are mounted on a piece of Memoranda Paper Stash, then a piece of Watercolor Cardstock cut into a big heart then embossed for a little texture, I also added stitching around these pieces before adhering them to the card. Don't you just love this cute little dog? 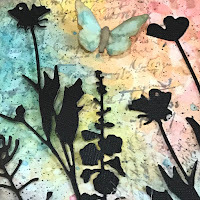 The ground and the sun are stamped onto Watercolor Cardstock with the new stamp set from Stampers Anonymous called Brushstrokes using Distress Markers to color them. These stamps are so fun! 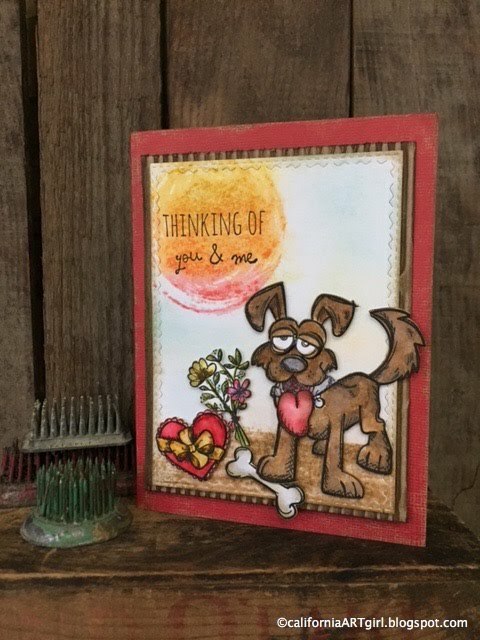 I hope this gives you a few ideas for creating cards for Valentines day or just for fun! Have a great week and thanks so mush for stopping by!